Ina knows what’s up. 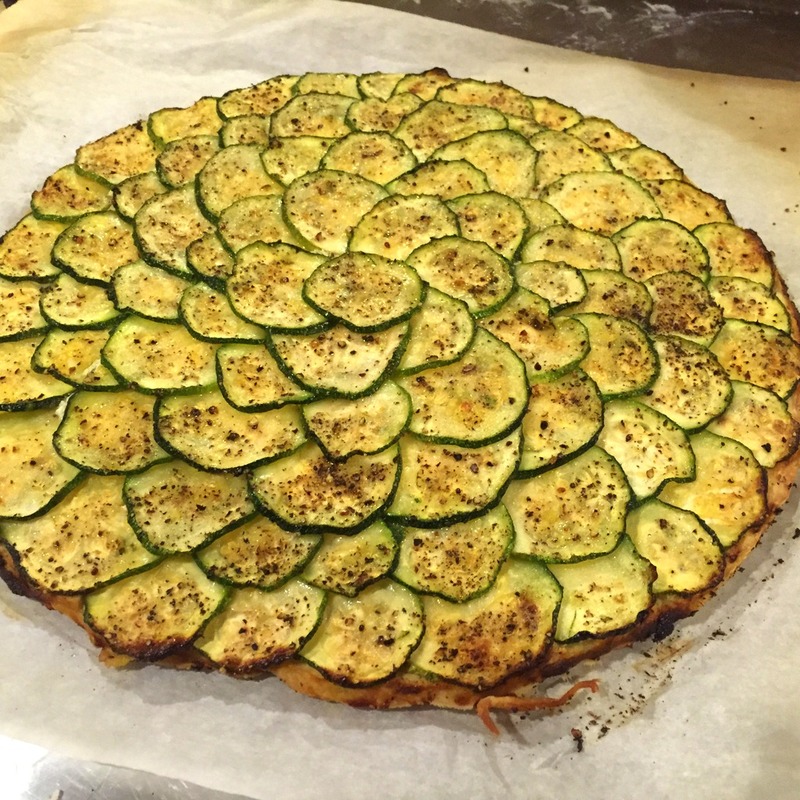 I made this last month for dinner (along with a charcuterie plate), and it is sooooo delicious. I don’t think I’ve ever made a bad Ina recipe. This one is from her book Make It Ahead. And I did. Put the flour, butter, and 3/4 tsp of salt in the bowl of a food processor with the steel blade attachment and pulse 12-14 times, until the butter is the size of peas. With the processor running, pour the vinegar and ice water in and keep pulsing and processing until the dough just comes together. Dump out on a floured surface, form into a disk, wrap in plastic, and chill for 30 minutes. 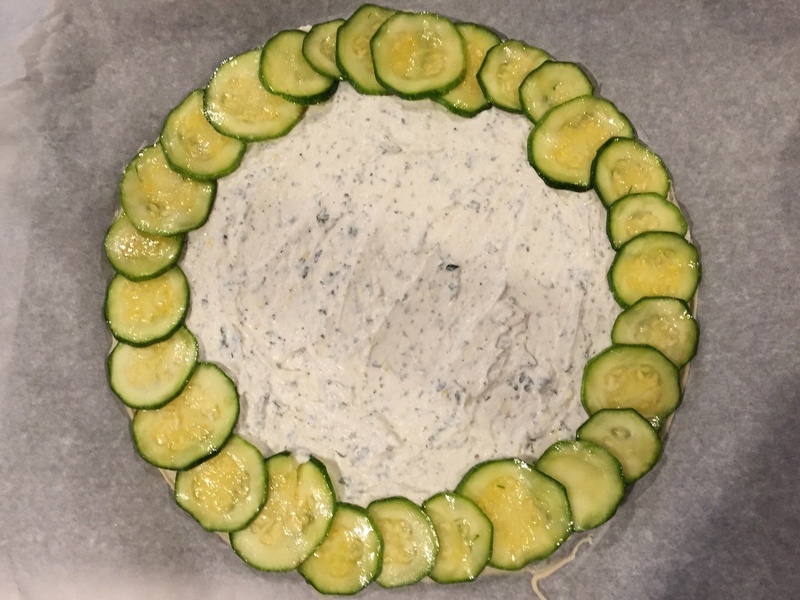 While the dough chills, place the zucchini in a colander set over a plate. Toss it with 2 tsp of salt and set aside for 30 minutes. The salt helps draw out the water, which will drip down onto the plate. 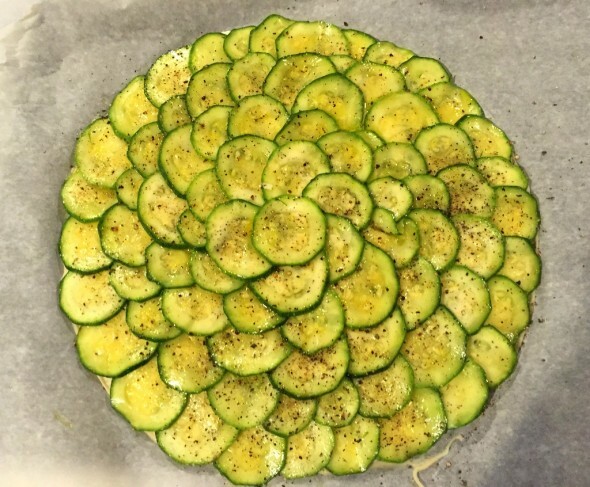 Spread the zucchini out on a clean dish towel and roll it up, squeezing gently to remove some of the liquid. 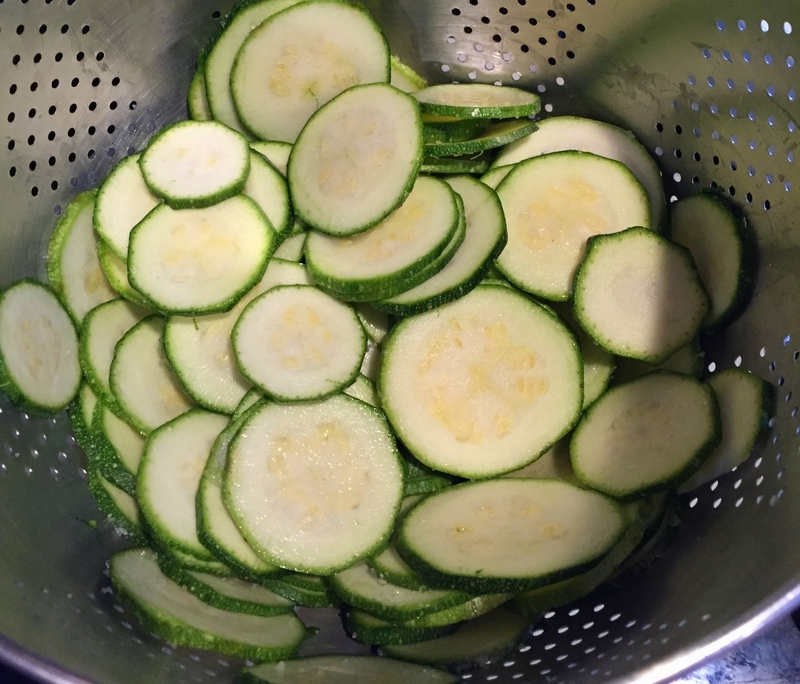 Put the zucchini slices in a bowl and toss with 1 Tbsp olive oil. 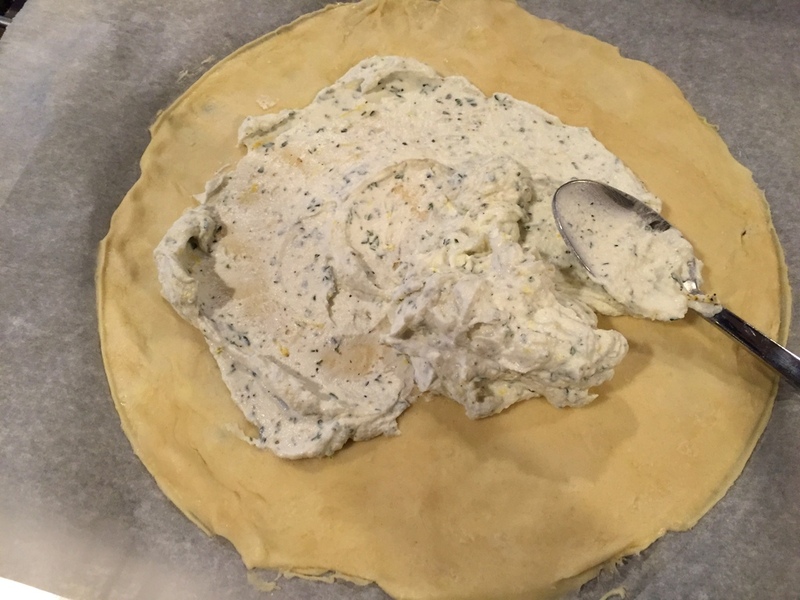 With a fork, mash together the goat cheese, thyme, lemon zest, 1/2 tsp salt, and 1/4 tsp pepper. Set aside. 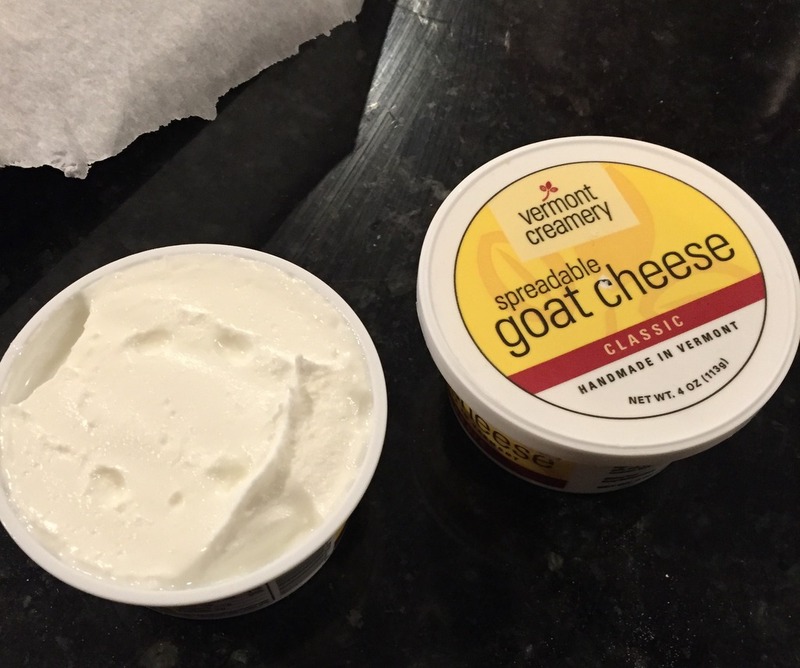 I didn’t photograph this, but here’s the awesome goat cheese I used. Preheat the oven to 400 and roll the dough out onto a floured surface until it’s an 11″ circle. I used one of my serving plates to size this. 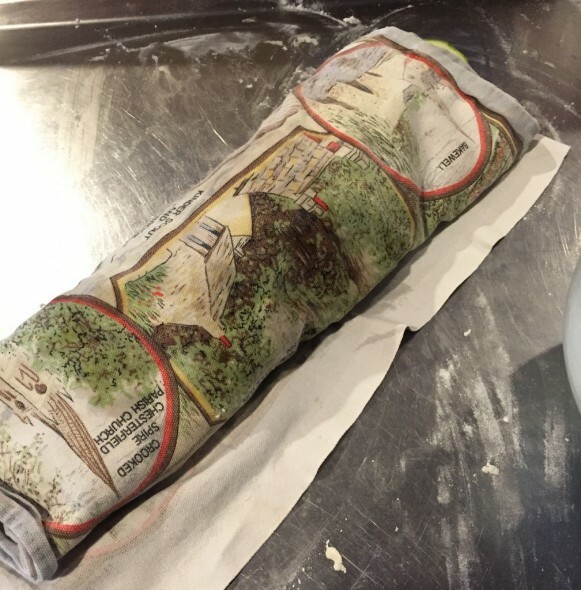 Move the dough disk to a sheet pan lined with parchment. Spread the goat cheese mixture all over, like you’re saucing a pizza, leaving a 1/2″ border. 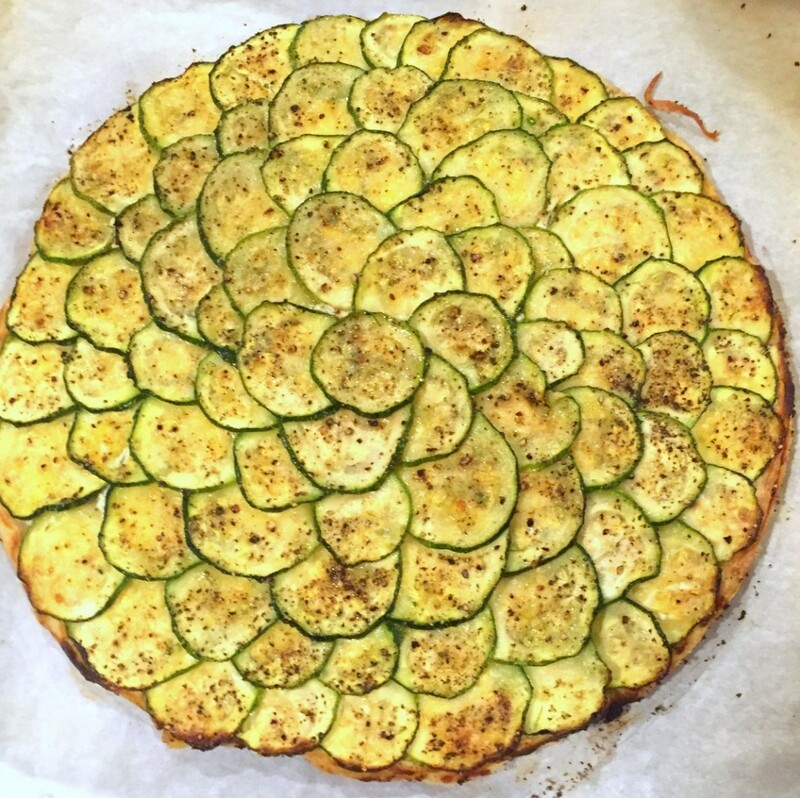 Lay the zucchini slices in “tightly overlapping circles,” starting at the very edge of the pastry. 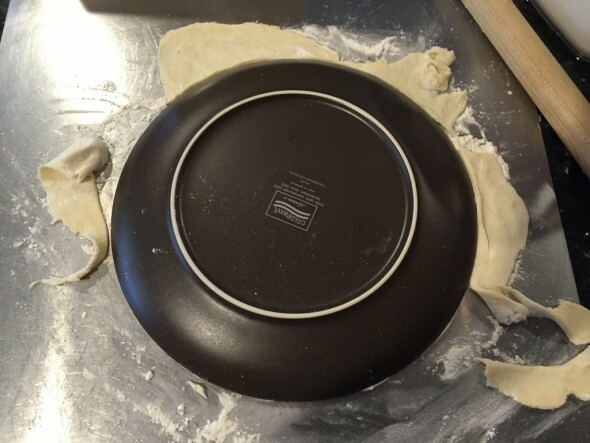 It will shrink in a little as it bakes. Continue the overlapping zucchini circles until the entire tart is covered. Drizzle with the last 1 Tbsp olive oil and sprinkle with pepper. Bake 40-50 minutes, until the dough is golden brown. Cut in wedges and serve hot, warm, or room temperature.